This T-Shirt was worn by WWE Superstar Ember Moon on Monday Night RAW and autographed later that evening on September 3, 2018 at the Schottenstein Center in Columbus, OH. 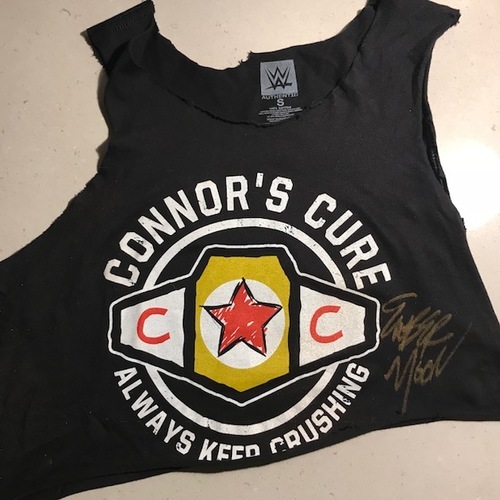 100% of the Net Proceeds* received by WWE from the sale of any item in the Connor's Cure merchandise collection will benefit Connor's Cure at The V Foundation for Cancer Research, a nonprofit corporation with its principal place of business at 14600 Weston Parkway, Cary, NC 27513. 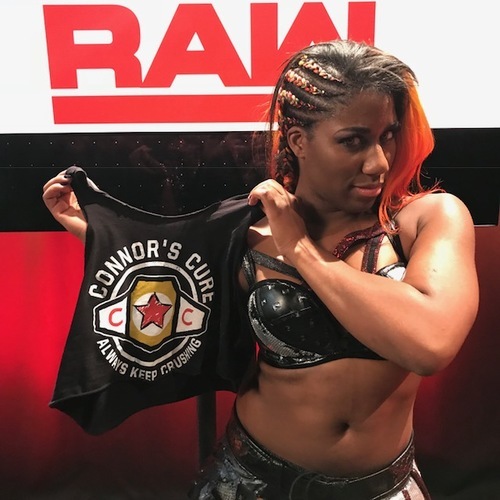 The purchase of items from the Connor's Cure merchandise collection is not a tax deductible event. *Net Proceeds means all revenue received from the sale of a Connor's Cure item, less the cost of merchandise, fulfillment and any applicable credit card processing fees. During the registration process you may enter a credit card to keep on file. If you choose not to enter a credit card, you will be able to view and watch auctions, but not place a bid. A credit card must be on file in order to place a bid on an item. WWE accepts American Express, Master Card and Visa. All final sales are done in $US amounts ($). 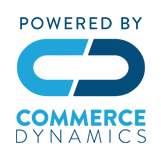 INTERNATIONAL BUYERS PLEASE NOTE THE BUYER IS RESPONSIBLE FOR ANY DUTIES ASSOCIATED WITH THE SHIPMENTS. Please Note: Payment for auction items may be charged automatically at auction close. In an Open Auction, buyers bid until the auction ends. The item is then sold to the single highest bidder at the end of the auction period. Bidding can start as low as the Opening Value (minimum price or starting amount) of the auction. A Dutch Auction occurs when multiple, identical items are offered for sale in bidding format. A minimum price (the Opening Value) and the number of items for sale are set and bidders can then bid at or above the minimum price for the quantity of items they wish to purchase. At the close of the auction, all winning bidders purchase the items at the same price, which is the lowest successful Bid. When the listing closes, the highest bidders win the available inventory. Bids are sorted in order with priority given to price, the quantity bid for, and then finally to time a bid was placed. The time of a bid is determined by WWE based on its records. If bids are tied for price, the Buyer who has bid in the greater quantity wins. If there are two bids at the same price for the same quantity, the earlier bid wins. This auction item requires a valid PIN code in order to place a bid. PIN codes are available to only to fans in attendance at participating live WWE events.